Reposted from Volume 21 of Condo Contact. Indoor Air Quality (IAQ) can be defined broadly as the quality of the air within a building or other manmade structure. Many IAQ assessments are complaint driven. For example, a building occupant may express a concern regarding a nuisance odour, dry eyes, sinus congestion, or frequent sneezing or coughing. IAQ assessments may also be conducted as part of a policy geared towards proactively ensuring client, tenant, or worker comfort. In the case of property management professionals, anticipating tenant/owner needs and having the required baseline indoor air quality data available before a complaint is even made can be a driver for pro-active IAQ monitoring. Terms such as “Sick Building Syndrome” have been used to describe a host of adverse symptoms that are often linked to indoor air quality issues. These symptoms can range from allergy-like symptoms such as dry eyes, sinus congestion, coughing, headaches, fatigue, and dizziness. These concerns can arise because modern buildings are designed to be “tight”, which means that very little air naturally infiltrates them and outside air is needed to replace stale air. Buildings today are highly insulated and sealed-off from the outside air in order to create a stable atmosphere conducive to human occupancy; this building system helps control indoor air quality by minimizing outdoor contaminants in the indoor air. However, because building envelopes are designed to be tight, the fresh air needed to mitigate air quality issues can be restricted. This brings into play another key component to the building system; the heating, air conditioning, and ventilation (HVAC) system. This system is designed to mitigate air quality issues and optimize occupant comfort by conditioning and recirculating indoor air while supplying an element of conditioned outdoor air. Another main contributor to indoor air quality issues are the building occupants themselves. Building occupants can adversely affect IAQ by emitting bio-effluents such as carbon dioxide, breathing, creating humidity from exhaling and perspiring, introducing body odours, and creating dust from shedding tissue such as skin and hair. Furthermore, many common products such as perfumes, cleaners, polishes, paints, cosmetics, etc., emit volatile organic compounds (VOC) which can cause irritation in relatively low concentrations to individuals with odour sensitivities. Activities such as vacuuming and dusting can elevate particulate (dust) concentrations in the air and building renovations can increase levels of airborne silica, asbestos, lead, and a variety of other hazardous substances. Even newly in- stalled building materials can contribute to air quality issues by emitting volatile organic compounds through off-gassing. Mould growth can occur from water damage resulting from a leak in the plumbing or building envelope, from condensation, or from excess humidity in the air. Emissions from vehicles can pose an issue if they infiltrate the building envelope or HVAC system from a parking lot, garage or other source. Many indoor air quality issues are not dire and can be remedied by increasing ventilation or identifying and removing an offensive odor. However, when an IAQ complaint persists despite your best efforts, it may be time to have your Indoor Air Quality assessed professionally. A general Indoor Air Quality assessment typically consists of a walkthrough and visual inspection of the subject area. For qualitative IAQ issues, the walk-through is typically followed up by a survey in which IAQ comfort parameters are quantified via specialized instruments. During the walkthrough, the assessor is making note of any signs of water intrusion and mould growth as well as noting temperature, humidity, and any apparent odors. If a specific complaint has been made regarding a particular area, the assessor can narrow their investigation of the problem area by taking occupant complaints into consideration. The time of year will also be considered to account for the natural fluctuations in temperature, relative humidity, and mould spores which can result from seasonal differences in weather. During the investigation, various instruments will be used to measure general comfort parameters such as temperature, relative humidity, and carbon dioxide levels. As well, contaminants such as carbon monoxide, airborne particulate, volatile organic compounds (VOCs), and airborne mould spores will be measured. When preparing an IAQ assessment report, the IAQ professional will compare the IAQ data collected to a variety of industry accepted guidelines and standards. The American Society of Heating and Air Conditioning Engineers (ASHRAE) standards are those most often utilized by IAQ professionals as measures for indoor air quality. ASHRAE defines acceptable indoor air quality as “air in which there are no known contaminants at harmful concentrations as determined by cognizant authorities and with which a substantial majority (80% or more) of the people exposed do not express dissatisfaction”. Health Canada has also published information on the investigation, assessment, and remediation of fungal (mould) contamination in buildings. These publications are often used by the IAQ professional as guidelines when conducting fungal investigations and when interpreting mould spore data as part of an IAQ assessment. Utilizing these standards and guidelines will increase the probability that building occupants will find the indoor air quality comfortable or satisfactory. The public is becoming increasingly aware of the hazards posed by radon gas exposure. Radon gas is a colourless, odorless, radioactive substance that is now known to cause lung cancer in building occupants when it is present above a certain concentration indoors. Radon gas occurs naturally in the environment due to the decay of certain minerals in the ground. Radon enters buildings through the ground via cracks in the buildings foundation and openings such as drain pipes, sump pits, and basement windows. The best way to know whether Radon is present in a building is to first set up an approved radon measurement device after consulting a certified professional or the relevant guidelines. Then the sample should be analyzed by a properly accredited laboratory. Another emergent concern is cannabis use. Cannabis use has always been an air quality issue in residential buildings due to its health effects and pungent odor. There is a possibility that cannabis use may increase due to proposed changes in cannabis legislation in Canada. 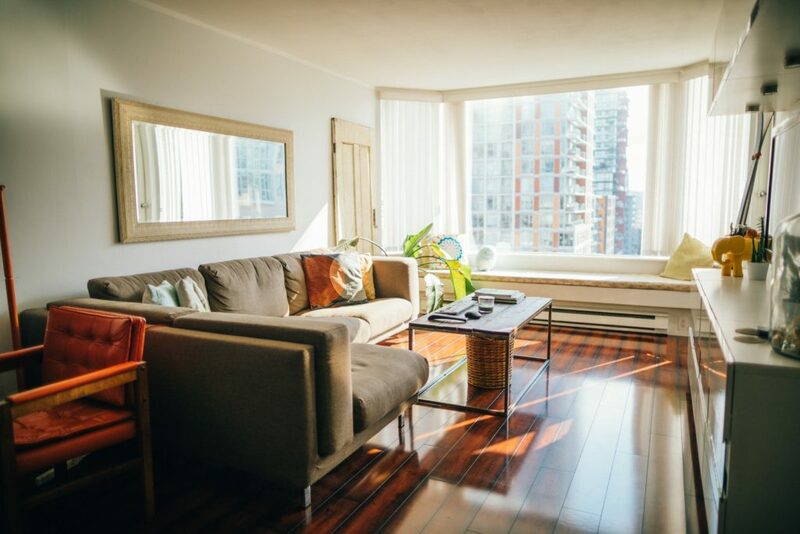 Indoor Air Quality complaints resulting from increased cannabis use and second-hand exposure may become more prevalent in condominium buildings due to these legislative changes. Continuing to enforce existing smoking policies and making it clear to occupants that cannabis smoke is subject to these policies can potentially alleviate IAQ concerns. Communication is a key aspect of managing IAQ concerns so it is beneficial to have a policy in place that addresses IAQ concerns in an efficient and systematic fashion. A designated internal contact for IAQ concerns should also be put in place for individual buildings/complexes and tenants/owners should be made aware of this contact. Providing sufficient training for this contact is important so that they can understand IAQ and be able to collect the required information from complainants. For example, the contact should ask the tenant/owner: “Is the complaint confined to a specific area?”, “What kind of symptoms are you experiencing?”, and perhaps most important of all, “Do you have any idea what may be causing the issue?”. This process demonstrates that building management values the tenant/owner’s input and wants to make them an integral part of the investigation. Furthermore, the tenant/owner may correctly identify the root cause of the issue which reduces the cost of any required investigation. These efforts help communicate to your building occupants that you value their health and comfort and take Indoor Air Quality issues seriously. Additionally, being able to rely on a third-party occupational/environmental health and safety consultant for expert advice and guidance is important as well. This article was written by Nick Tobin, Project Coordinator for EHSP‘s Ottawa branch. For information on how EHSP can help you maintain the IAQ in your home and/or workplace, check out our Indoor Environmental Quality page or e-mail us at info@ehsp.ca. Ready for the Bill 30 Alberta OHS Changes? Global Asbestos Awareness Week: What do we know about asbestos? © 2017 EHS Partnerships Ltd.